If you want to see the best off-road GPS devices in one place, you will definitely love this updated 2019 guide. Best off road GPS are engineered to be used out-of-doors, including mountains, deserts, jungles, forests, and beaches. Unlike the GPS receiver in your cellphone, automobile, or PDA, off road GPS offer better road navigation and outdoor adventures. Best GPS for off road trails ensures that you and your family don’t get stranded in the woods when your vehicle breaks down. Off road GPS provides useful off roading features, including points of interests, 4WD trails, and 3D mapping among others. What is an Off-Road GPS? What are the Concepts of Off Road GPS Navigation? GPS refers to the Global Positioning System. Whether you are on a motorcycle trail riding or exploring the world for the finest off trails, GPS can help you reach your destination. The Global Position System (GPS) uses overhead satellites to triangulate a user’s position. Commercial off road GPS receivers are available for handheld use and vehicle mounting. An off road GPS receiver is designed to retrieve from the global positioning system time as well as the location on planet earth. This device usually needs a line of sight that is not obstructed to four GPS satellites or more. However, the system is not immune to the bad satellite signal. The GPS system consists of twenty four satellites that are positioned in the earth’s orbit by the United States DOD. Instead of measuring the direction to each satellite, your receiver establishes its distance from each of them. It achieves this by measuring the time it takes to receive each of their signals. Knowing the travel time of the signals and the speed of light, it can determine the distance to each satellite. The device then figures out the precise location of each satellite in the sky. A GPS device uses accurate info about satellite orbits stored in its internal memory. Once it knows the locations and distances of at least three satellites, your receiver has everything it needs to calculate your position. By tracking the fourth satellite, your GPS receiver can calculate its position multiple ways using all combinations of three satellites. Without an extra satellite, your receiver will not be nearly as accurate. Best off roading GPS navigation does normally include three broad concepts: Discovery Type, TrackPoint Navigation, and Waypoint Navigation. As far as this type of off road GPS navigation is concerned, you (the user) do not know where you are headed to. The GPS unit keeps tracking your path. If by any chance you get lost along the way, you can use the tracked data to go back the same way you came. However, the discovery type features are not very popular. Only a handful of first-rate mapping software comes with such features. This is one of the most popular off road navigation. This concept provides you with guidance in reaching your destination in the shortest time and/or distance. By feeding the GPS device with the coordinates of your destination, you receive on-screen guidance promptly. You can use this principle to lay out points and lines. The concept behind waypoint navigation is simple. You must feed the off road GPS with the coordinates. Most GPS devices can store a number of destination points in their internal memory. Then, let the device compute its own position, which is your position. All the info and data are displayed on a continuous basis to guide you. GPS waypoints are provided in Latitude/Longitude coordinates. Waypoints are approximate positions. Note that not all waypoints are shown on the maps, and those that are shown are placed alongside the route rather than at the exact location. This type of off-road navigation can either be easy or dangerous. As far as this concept is concerned, another person does the job on your behalf. Another person uses his or her GPS navigator to track as well as record the track log. All you have to do is feed the log in your navigator and follow the recorded path. Trackpoint navigation allows you to follow the twists and turns of the track back to the start point. It can also be used to navigate the track in either direction. The trackpoint shows the location recorded by the GPS regarding where it was, provided the unit was turned on, and it has established satellite links. This record carries the timestamp, latitude, longitude, and elevation. The track points are generated automatically by the GPS unit, and the user can’t change or define what gets generated. This may seem the easiest off road navigation, but there are some concerns. For example, if the track log was recorded in a forested region, the chances are that the nature of the area might have changed with time, and the track may be a different one. Are you looking for the best off road GPS navigator? Introducing the Garmin GPSMAP 64st, which works as a GPS and GLONASS receiver. GPSMAP 64st comes with wireless connectivity (ANT+/Bluetooth), compass, altimeter, and one year subscription to the Birdseye satellite imagery along with a 100k US Topo maps. So, out of the box, this GPS/GLONASS receiver is ready to use for any off-road adventure that you may have planned. It weighs 8.1 ounces and has a 2.6-inch color screen with 160 by 240 pixels display resolution that is easy to read in the sunlight or in the desert. It is also big enough, allowing you to see maps and other features clearly. GPSMAP 64st comes with an internal memory of 8 GB along with a micro-SD card slot for expanded memory. It is also the best GPS for geocaching, thanks to its 250,000 preloaded caches. In addition to its high-sensitivity feature, this unit comes with a quad helix antenna that not only has a precise and quick fix on your location, but also maintains the location in deep canyons and heavy cover. You would also love the dual battery system that features two AA batteries with a battery life of 16 hours. It works best with Polaroid or NIMH rechargeable batteries. Regardless of its excellent navigation capabilities, there are a few design flaws. The user interface may be hard to maneuver and map downloads are a bit slower. This is the best Garmin navigation system for cyclists and bikers. It comes with exceptional features for navigation and competing. Garmin Edge 520 Plus comes with a 2.3-inch bright color screen with an easy to read display resolution of 200 by 265 pixels. It offers a better display compared to monochrome screens. The one thing that you may not like about the display is the lack of touchscreen capacity. However, the device is fitted with control buttons that are extremely easy to use. The Edge 520 Plus has the ability to add maps as well as basemap. It also provides you with 200 waypoints, 100 routes, and up to 200 hours of history. It comes with lots of planning, analysis, and training features, including: auto scroll, virtual partner, V02 max, auto lap, advanced workouts, interval training, auto pause, and customizable data pages. This device is compatible with Garmin Connect. An online community that not only allows you to analyze, but also catalog and share data. You can also transfer data automatically to Garmin connect. 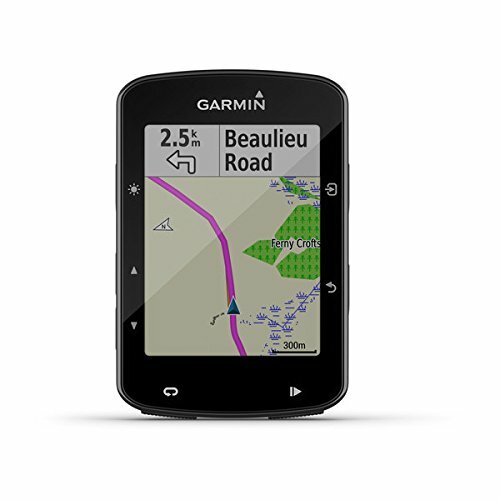 Weighing 2.08 ounces, the Garmin Edge 520 Plus is one of the most lightweight and portable Garmin trail GPS. Comes with a 15-hour battery life. In addition to the absence of a touchscreen, you are likely to experience some issues when connecting the device to the Garmin Connect app. Are you looking for the best-recorded GPS tracks? Look no further than the Garmin eTrex 20x. This is a high-sensitivity GPS, which is WAAS-enabled with GLONASS support and HotFix. This is an upgraded variety of the eTrex 20. Unlike its predecessor, the eTrex 20x offers better display, due to its enhanced screen resolution. The screen is also sunlight readable. The design is unlike any other. It retains affordability, durability, and ease of use. It provides the ideal Garmin off road map features for trail adventures. With numerous compatible mounts, this GPS receiver is not only engineered as a handheld, but also a navigator for hot air balloons, cars, boats, bicycles, and ATVs. You can even go global with eTrex 20x, since it is designed to receive signals from both GPS as well as GLONASS satellites. The receiver locks on 24+ satellites when both GPS and GLONASS are on. 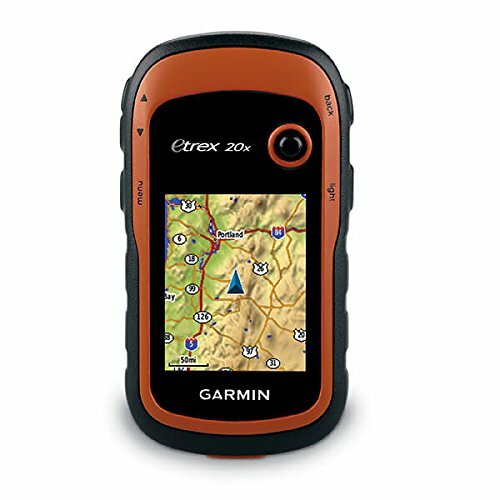 The eTrex 20x is also one of the best GPS for geocaching. It allows you to download geocaching GPX files and other details directly. It has an internal memory of 3.7 GB and micro-SD card slot for extended storage. Also, the device has 2,000 waypoints, 200 routes, 10,000 track log points, and 200 saved tracks. The device stores as well as displays important info, including descriptions, hints, difficulty, terrain, and location. So, there’s no need of paper printouts or entering coordinates manually. You would certainly love the dual battery system (lithium or NiMH), which has a battery life of up to 25 hours. There are a few things that you may find challenging. For example, the user interface and software may present some issues. Also, downloading necessary updates may be time-consuming. If you are searching for the best GPS for UTV trail riding and hiking, you should not extend your search beyond the Garmin Montana 680t. Among the various receivers with geo-tagging cameras, Montana 680t seems to be one of the best. Its 8 megapixels camera allows you to take geotags photos automatically when you come across something interesting. This is also one of the best GPS for geocaching. It features 250,000 preloaded geocaches. This allows you to upload geocaches straight to your receiver from Geocaching.com. You no longer have to enter coordinates manually or use paper printouts. It also displays important info, such as descriptions, hints, difficulty, terrain, and location. It has a track manager that helps you organize as well as navigate through track logs, routes, and waypoints. Recording track logs are remarkably easy. 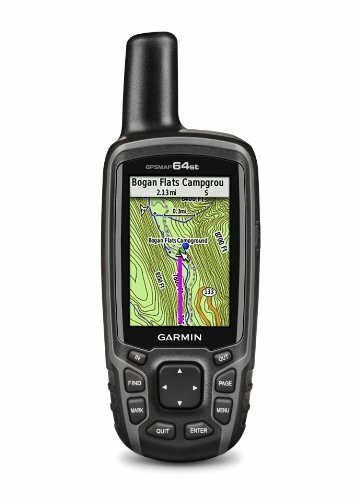 Locating your position is a breeze with the Garmin Montana 680t because it is high-sensitivity, supports GLONASS, has HotFix satellite prediction, and it’s WAAS-enabled. Do you want to go everywhere? It’s easy; all you have to do is download more Topo US 24k maps. You can also use the Birdseye satellite imagery to add satellite images. It has a memory/history of 8 GB and a micro-SD card slot for extended storage. It also has 4,000 waypoints, 200 routes, 10,000 track log points, and 200 saved tracks. The price is a bit steep. Also, you are likely to experience issues when connecting to the Garmin Connect app. Are you an off-road biker looking for the best GPS for motorcycle trail riding? Magellan TR5 is what you should be looking for. This is one of the most comprehensive off-road navigation solutions. It is equipped with an extra-large 5-inch touchscreen display that is sunlight and night readable. It is preloaded with 115,000 plus snowmobile, motorcycle, ATV, and OHV 4WD trails across all the fifty states across the US. Trail database effortlessly records trails, waypoints, and share socially. 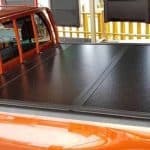 It is designed to improve safety for off-road enthusiasts. The TR5 features a high definition touchscreen protected by a ruggedized, waterproof casing. You can also buy a heavy-duty motorcycle handlebar mount. Two map views are included: a high resolution to ten meters 3D terrain view as well as a 2D Topo view of contour lines covering the US and Canada. Street navigation and turn by turn trail are included. You get audible and visual navigation instructions for street and off-road trails. There is a comprehensive online community track database through which you can discover new off-road routes, crowd-sourced tracks, as well as view satellite basemap. Regardless of the excellent display of features, there are a number of concerns associated with this device. For example, you might face problems when updating maps and programs. Also, there are times when the device may be unresponsive when connected to Wi-Fi, PC, or a charger. This may be the case if you receive a defective product. If you are into camping, hiking, hunting, and any other outdoor adventure that takes you into the backcountry, you should have the DeLorme In-Reach. One of the most resourceful features of this device is the SOS emergency button. So, if you were to get into trouble, you have a direct link to emergency services. This unit has all the basic off-road features, including navigate, get help if needed, mark waypoints, log your tracks, and find your way back. This two-way satellite communicator allows you to text back and forth, share your journey, and post to social media, such as Facebook. It comes with an odometer, accelerometer, barometric altimeter, and digital compass. It displays trip distance, moving average, max speed, and trip time. It has wireless connectivity (Bluetooth) that allows you to pair it with your Kindle Fire, Android, or Apple device to access US NOAA charts and topographic maps. However, this receiver comes with a very basic design with a small non-touchscreen display. But the control buttons are easy to navigate. The services are not entirely free, you have to pay for a subscription to enjoy all the features. You may also face some problems when updating the firmware. Are you a cyclist in search of the best off road GPS for cycling? Look no further than the Wahoo ELEMNT. It is engineered to make your trail riding impressive. It has an integrated GPS functionality with a crisp yet simple map view that is preloaded with numerous bike-friendly routes. You get to see the routes clearly on the 2.7-inch diagonal display. The screen is fully customizable. No reprogramming or menus are needed. It comes with dual-band technology that includes Bluetooth and ANT+ for pairing sensors and devices. Syncing data, updating software, and downloading maps have been made easy. The device is preloaded with resourceful maps of South America, Oceania, Asia, Europe, and North America. You can also download maps for Africa and Russia, wirelessly. You also get turn by turn navigation from well-known apps, such as Komoot, RideWithGPS, and Strava for cycling. Another impressive feature is the companion app setup. The devices use your smartphone’s interface to pair, link to cycling apps, configure workout pages, and customize settings. The market for the best off road GPS is wide-reaching. New models appear monthly, and new manufacturers are intensifying the competition. If you are planning on a buying a GPS navigator, it is because you want to know your position as accurately as possible when you are off road on a trail. For the most part, any receiver on the market today will give you position accuracy within the limits of the GPS system. But you need to take into consideration more specific features that are meant for outdoor and off road use, in order to be able to buy the best GPS for off road trails. According to research, the best GPS for off road trails should not only have street mapping, but also topographic mapping. The best off road GPS units contain built-in maps and can accept topographic maps downloaded from your computer. These units are designed to display unsealed roads, 4WD tracks, geographical features, and contour lines. Some units may contain built-in electronic compasses. The best off road GPS on the market have digital mapping units, but they are among the most expensive devices. Off-road GPS units come in an array of designs, some with base maps, some without, some with limited flash memory, and some with a lot of memory. Then there is the mapping software, which you are likely to find confusing. It is all about the GPS mapping software that works best. Digital mapping and GPS navigation in a single unit is the new map and compass for off-road driving and activities. The best GPS for UTV trail riding should display its own form of points of interest and landmarks. A conventional on-road GPS navigator may contain businesses, café, and fuel stations as the main points of interest. But, such POIs may not prove useful when navigating off road. Whether you are a 4WDer or a camper, you would most likely need POIs that are relevant to your excursion. Things such as 24-hour fuel station, dump points, caravan parks, and campsites. Knowing the available points of interest helps you prepare yourself beforehand. You know where to exit the freeway, where to refuel, where to eat, and where to camp at night. The best driving GPS should come with the ideal features for 4WD trails. The device should be able to track to any point for which you know the longitude and latitude coordinates with no chance of heading in the wrong direction or getting lost. The best GPS for off-roading should provide an extremely easy to understand graphics display to keep you on track in your four wheeler. The finest off-road GPS should allow you to mark and profile elevation change and distance from the point to point of your 4WD trails. This is a resourceful feature that can be found on some off-road GPS units. This feature continually presents you with directions in form of visual or spoken instructions. An off-road GPS with turn by turn directions keeps you up to date regarding the best path to your destination. The feature is usually updated with respect to road conditions. You need sufficient track log memory because track logs can be valuable in many ways. You can use it to retrace your exact path back to a starting point. You would probably spend a lot of time checking up the track log info during off road trails to see what percentage of memory has been used. To avoid such problems you should look for a device with sufficient memory. Typically, memories may range from 500 to 10000 points. Always buy an off road GPS with larger track log and waypoint memory. Such a device will allow you enough space and time to record your track log info and be able to download the info to your PC. The most ideal off-road GPS should have more than enough storage capacity for waypoints (500+), track log (2000+), and routes (up to 200). The best GPS for off road trails should have an SD or micro-SD slot, which sometimes is hidden behind the batteries, to accept portable memory. You can use the portable memory to transfer maps, and as expandable memory for screenshots as well as photographs. You can also use removable memory to transfer waypoints and routes that you have programmed or selected from your off-road GPS to your PC. A GPS can be used by itself, but like a compass, it is best used along with a map. The best GPS for off road trails should have preloaded maps. Preloaded maps are powerful as well as interesting tool that helps you to watch your progress through dense forest or bush on a full-color topographic map on the small screen. It is hard to get lost with this highly intuitive feature. However, you should be aware of the device failing. So, carrying a paper map and a compass is advisable. When using an off-road GPS with map coordinates, it is crucial to configure the correct datum and zone on the GPS. The best off road GPS navigator should have wireless capabilities: Wi-Fi, ANT+ and Bluetooth communication. If you have a relative or a colleague with a compatible off-road GPS unit, you can easily, quickly, and effectively transfer POIs, waypoints, and routes, wirelessly. Wi-Fi, ANT+, and Bluetooth make things easier for you. You do not need a USB cord to download or upload anything, you just need a stable wireless connection. A 2D GPS position fix includes only latitude and longitude and not elevation. Your off-road GPS must be locked onto a minimum of three satellites. Because your GPS does not use as many satellite signals to compute a two-dimensional position, it is less accurate compared to navigating in 3D mode. A 3D GPS position fix includes horizontal coordinates and elevation. You need to be locked onto at least four satellites. 3D mode requires a relatively clear view of the sky. Apart from the functionality and mapping features of an off-road GPS, you also need to consider its design features. I find the size to be a very important consideration, especially if you have problems with smaller displays. Interpreting tiny maps can be a problem for some users. There is a choice of going bigger with a Portable Navigation Device (PND), a navigating unit that combines navigational functions and GPS capability. PNDs come with larger screens that are easy to decipher without any problems. However, you should stick with smaller sizes if you want a portable unit that you can hike with. Depending on the make and model, the best GPS for trail riding are equipped with a touch screen or traditional screens. Colored touchscreens are ideal because they help you differentiate between water and landforms. The same cannot be said of traditional screen displays. Most high-end models feature backlit screens, which are suitable to use in low light conditions or at night. There are a few concerns of touchscreen models. Firstly, colored touchscreens do not work with gloves, and they are not ideal for winter use. Secondly, they consume a lot of power. This is a very important factor that the best off road GPS should have. A small GPS navigator with a high-resolution display will be easier to decipher than a navigator with a lower resolution display. The more pixels your device has makes what is on your screen clearer and sharper. These may include graphics, text, numbers, and map features. If you want to use digital maps a lot in the field, then get the highest resolution display you can afford. Pixel ratios range widely, from a more crude 64 by 128 to a finer 160 by 288. The pixel ratio is even higher for some high-end models. When choosing the best GPS for ATV trail riding, consider the battery type. Many GPS receivers take either two or four AA batteries that are housed in a plastic casing situated at the base or back of the device. While any suitably sized batteries will work in an off-road GPS receiver, alkaline batteries are known to deliver the best results. NiMH and Ni-cad batteries are suitable because they are rechargeable. However, these types of rechargeable batteries don’t possess the full power of alkaline batteries, and they need recharging. The most reliable battery choice is usually lithium ion, which are known to provide the best performance in cold weather operations. However, lithium batteries are more expensive. To preserve battery life in an off-road GPS, you can turn off its magnetic compass. This will not affect GPS navigation info it collects from satellites. You can also turn off other nonessential features, such as auto routing and back lighting when you are not using them. 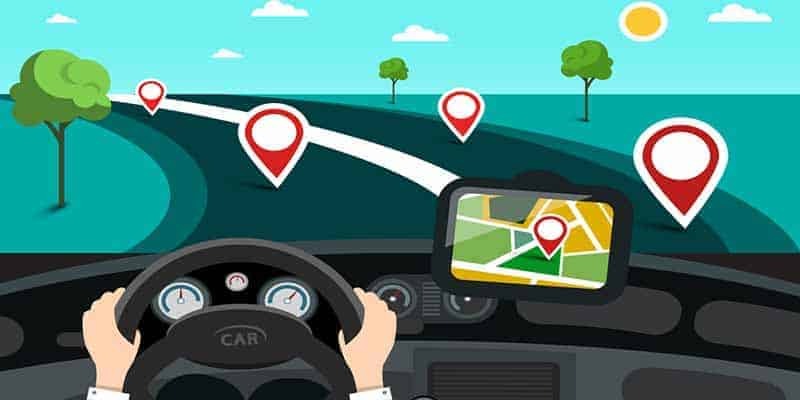 GPS tracking is available in different types of GPS systems, including GPS mobile phones, sports GPS systems, and street navigation systems. This is a vehicle GPS system that not only tells you where you are, but also guides or directs you to your preferred location/destination. The increasingly popular street navigation system means that you no longer have to read maps while you are driving. There are two other major benefits: reduced mileage and reduced journey time, and thus fuel consumption on unfamiliar routes. System improvements have made street navigation systems much more accurate than earlier models. Today’s designs are easier to use and have fewer distracting features. Even though some safety surveys have highlighted the dangers of operating dashboard devices while driving. Research suggests that a greater number of drivers are more focused on the road when using a street navigation system. These are GPS systems that are designed for paddlers and hikers among other out-of-doors sports. They can be in form of a watch or as a handheld unit. These systems do usually come with various navigation features, including waypoints, heart rate monitoring, cadence, speed, distance, and time among others. If you are an athlete, you can evaluate the data collected by your GPS sports system to help enhance your training regimes. However, this system only works outdoors, depend on weather conditions, and may become noisy when measuring close to high buildings. Smartphones are equipped with GPS tracking, which is usually used during 911 emergency calls. GPS for mobile phones is capable of tracking calls within a range of 100 meters. But there are some phone brands, such as Motorola that allow other users to track their phones through GPS tracking. This is a useful feature when locating a lost hiker. A great number of smartphone brands also provide GPS navigation services, which may be almost similar to sat-nav systems. But the phone needs to be within the range of a cellphone tower. The integration of GPS in modern smartphones raised user localization in distributed systems to the next level. When a smartphone is connected to the internet, the GPS status can be requested by a smartphone environment system, and the provided location can be assigned to a user. The only problem is that GPS in mobile phones costs a lot of energy and drains the battery very fast, even at low update rates. There is an intense debate going on among users of GPS navigators (both on-road and off-road) regarding smartphone based GPS and dedicated GPS. Technological advancements have seen smartphones replacing many standalone units on the market, including compact camera, alarm clock, iPod, and of course satellite navigation devices. Most people would argue that there is no need of investing in a dedicated GPS unit, if maps and GPS come inbuilt in mobile phones. Well, let us find out whether or not there is a solid reason for buying dedicated GPS (handheld or in-car), if you already have a GPS enabled smartphone. To begin with, mobile phones feature capacitive touchscreens and clear, sharp displays. Therefore, they are the perfect for hand operation, even with one hand. Nevertheless, the small menu systems and fonts are quite challenging to operate at arm’s length. Mobile phones may be practically impossible to control when driving off-road. Dedicated GPS units are fitted with resistive touchscreens, which are generally larger (usually 5+ inches diagonally), and easier to navigate. Most dedicated GPS units feature touchscreen keyboards, numerals, and display letters that are adjusted for arm’s length and usability when driving. Large dedicated GPS units, such as PNDs come with larger displays that provide more details, including time of arrival, speed limit, upcoming street names, and turns. If you are using your GPS system in a remote area, you will get more accurate results with a dedicated GPS unit than a smartphone. This is so since dedicated GPS navigator use satellite network while mobile phones use a cellular network. You will probably get more accurate results in off-road regions if you download the region’s map for offline use. However, this may not be easy if you travel off-road a lot to different places, and also different map downloads may deplete your phone storage. Another significant difference between the two GPS platforms is battery life. GPS tends to deplete the battery of a smartphone faster than usual. This may not be ideal in the forest. Not unless you use your phone in the car where you can recharge it with a proper adapter. According to the outdoors community, Garmin is by far the most favorite as far as consumer off-road GPS are concerned. The brand has a remarkable history of manufacturing the best off road GPS. The brand has both on-road and off-road GPS receivers on the market. With each design (on-road and off-road), there are numerous models for every street and trail activity you would think of. Magellan’s popularity is mainly based on its high adaptability. Magellan models can be permanently mounted or used as handheld portable devices. 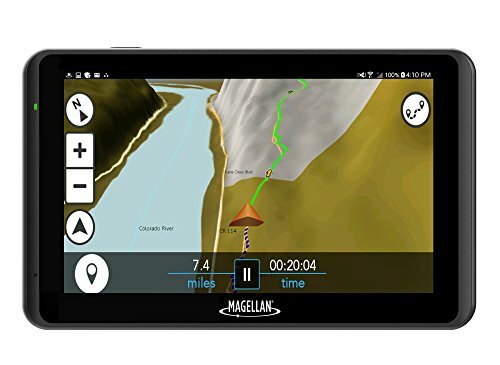 By design, Garmin GPS devices have a smaller screen size and display resolution; while Magellan comes with larger screens with higher display resolution. Garmin receivers do normally have superior battery life compared to Magellan. For example, the Garmin GPSMAP 64t has a battery life of 16 hours, and Magellan TR5 has a battery life of about 1 hour. In-dash GPS installs in your vehicle easily without the need of wires. There is also no extra hardware to purchase. In-dash systems are also integrated with the high-performing entertainment system. However, in-dash units are costly. The firmware is usually difficult to replace, and the map upgrades may sometimes be exceedingly costly. On the other hand, portable GPS units are less expensive. 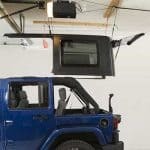 They are remarkably portable, and they can be used in and outside a vehicle. When shopping for the best off road GPS, portable units are the most favorite. They can easily be carried to any location during hiking. 1. What Maps and Trails Do Off-road GPS Devices Cover? The best off roading GPS are incorporated with 2D as well as 3D mapping features that display off-road terrains’ topology and elevation. Most navigation units come with off-road trails that are US-based. National Forest Service manage a greater number of the covered trails. 2. How Accurate is the GPS System? Ideally, GPS navigators provide you with the most accurate tracking info. But, how accurate is the information in real life? The best GPS for off road uses radio signal frequencies to establish your location. The signals are obtained from a number of satellites. Your off-road GPS system measures the transmissions conveyed from the various websites (3 or 4) to determine the accurate location of your GPS unit. Normally, GPS is not affected by weather conditions. However, the accuracy of the GPS navigator may be affected if the device is not in direct line of sight with the sky. Your device may not be in direct line of sight to the sky if you’re inside parking garages, inside tunnels, under tree cover, and below high buildings. Generally, the best off road GPS units are accurate within a few meters (3 meters). This provides you with pretty accurate location info. 3. Do Off-road Navigation Systems Have Cellular Capabilities or Wi-Fi? The best off-road GPS come with inbuilt Wi-Fi or Bluetooth. The wireless connectivity allows you to upload or share personal tracks, completed videos/photos/routes, and waypoints. However, there aren’t many GPS devices with cellular capabilities. 4. Can I Use It for Street Navigation and Trail Navigation? Yes, contemporary GPS units are equipped with both streets as well as off-road navigation features. This allows you to use your device while driving and when hiking in the forest. 5. Do Content and Map Updates Cost Extra? No, they don’t. Content and software are included when you buy your off-road GPS unit. The off-road units come with free software updates and free lifetime map. 6. Is There A Monthly or Yearly Subscription? The best off road GPS units come preloaded with trail database and basemaps. There is no subscription required for you to use the GPS or maps. But, there is an optional subscription offered by some devices for satellite imagery. According to DigitalGlobe, a yearly subscription for satellite imagery may cost around $30. 7. How Do I Update the Map? Off-road GPS devices are usually updated over Wi-Fi, even though you can update it via your computer. When your device is wirelessly connected to Wi-Fi, the device’s software will alert you of any available updates. Trails and POIs updates normally last a few minutes. 8. Do They Come With Warranties? The best GPS for off road trails have manufacturer’s warranty. However, the warranty period may vary from one manufacturer to another. But most warranties do not cover theft, damage or loss. 9. How Long Does The Internal Battery Last? Off road GPS receivers are usually energy greedy, but they are capable of giving you up to 24 hours of uninterrupted use, sometimes more, depending on how you use the device. Make sure your device comes with a built-in back-up battery so you won’t lose waypoints every time you change batteries or shut it off. The ones I have reviewed here have ample battery life with an exception of a few. You can extend the battery life by buying lithium batteries and deactivating unessential features. 10. Does This Unit Have An Electronic Compass Or Do You Have To Be Moving To Get An Accurate Reading? All off-road GPS units can inform you of your position and where you are headed to as long as you are moving. To solve this problem, most high-end and mid-range models are now equipped with an electronic compass. Such models show you the direction of travel even when you are not moving. 11. How Easy Is It To Load Geocaches To This Device? Geocaching can be an incredible teaching tool for a device that is often labeled as difficult and unwieldy to use. You can use your PC to load geocaches onto your trail navigator. All you have to do is gather all the geocaches into a single GPX file. Then import the GPX file into your device’s GPX folder. 12. Are These Off-Road GPS Waterproof? Yes, they are waterproof. Most models have an outer design that is rugged and rubberized. The best off road motorcycle GPS units have a waterproof rating of IPX7. 13. How Many Waypoints Can I Save? Best GPS for off road trails can store varying number of waypoints. For example, older trail navigators had the ability to save 250 waypoints, but newer models can save up to 500 waypoints. Higher-end models are capable of storing up to 1000 waypoints. Also, there are some state-of-the-art devices that can save additional waypoints in an internal database. 14. What Does The GLONASS Feature Mean? The technical specifications of GLONASS are very similar to the ones of GPS. The main difference in the design of both systems may be that GLONASS makes use of frequency division multiple access. Currently, some work is going on related to the design and manufacture of dual GPS and GLONASS receivers. This is likely to increase the acceptance of the GLONASS system and increase the robustness of satellite navigation. 15. Do I Have To Update The Firmware? After a console software upgrade or change of receiver hardware, a caution message advising receiver firmware is outdated will display on the screen. The message is a clear sign that a firmware update is necessary. The updating process isn’t hard, and it normally takes a few minutes. But the battery should not die while a firmware update is ongoing. 16. 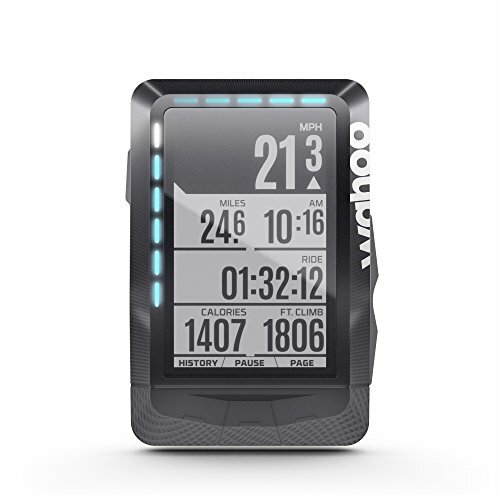 What Is the Difference between Garmin 64 and 62 Series? They are both base models as far as their respective series are concerned. Therefore, they do not have the superior features of 64s and 64st. The 64 model has 4 GB memory, 5,000 waypoints, and accepts micro-SD for expanded storage. On the other hand, the 62 model has 1.7 GB memory, 2,000 waypoints, and doesn’t accept micro-SD. 17. Will It Record My Entire Trip or Hike? Yes, but you should not start a new track before you clear the previous one. Save the track at the end of your trip or hike. You can thereafter load the track into basecamp. 18. Will It Automatically Uploads My Rides to Garmin Connect and Strava? At the end of your ride, turn on Bluetooth on your smartphone and then open the Garmin Connect. If the phone and the GPS unit are properly synced, the rides will be uploaded automatically. However, sometimes you may have to access the app (Garmin Connect or Strava) and manually select sync for the upload to work. There is so much to consider when shopping for the best off road GPS. I have narrowed down the search to seven top products the market has to offer. Also, it is important to note that an off road GPS receiver is simply another tool in the land navigation toolbox, and you should never substitute it for map and/or compass knowledge. This is so, since GPS is dependent on a number of variables, many of which are beyond your control. These include battery life, satellite integrity, and signal strength among others. If one of these factors were to fail or be substantially weakened, you would have to rely completely on alternative navigational skills. Is Garmin GPSMAP 64st good for hinting amd Is this device waterproof at least IPX7? Thanks for checking the post. Obviously it is good for hinting. And, yes it is IPX7. What is the best standing bike computer? Let me know your recommendation. 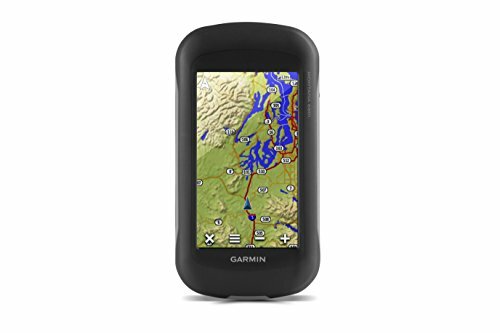 Can I use Garmin GPSMAP 64st in the vehicle only or will I hike with it also?